Fellow activist/artist Unparalleled Suffering has just released this documentary about Kaporos in Brooklyn that features music that I wrote just for the film. I don’t know of a more dedicated or passionate person, and it is quite evident when you see this film. He was staying with me much of the time he was shooting Kaporos, and he was out on the streets for the bulk of the days he was in Brooklyn. If you’re looking for another person to support on Patreon, make him your guy. It was really interesting writing this music while still on the road. It was a little bit daunting to start work on this with only my laptop and a couple of controllers, but all in all I am happy with how this music turned out. In some ways, having restrictions on what I can do is a really positive thing. I’m here in Syracuse for a couple more days, slinging vegan grub at the New York State Fair. Having a blast but I’m not gonna lie, I will be happy to be getting home soon! It’s been a loooooooong summer! Brilliant documentary! Thank you to Unparalleled Suffering and Michael Harren for this amazing work! I hope it inspires many people to join us in our efforts to encourage people to use money, instead of chickens, in this custom. Rina, thanks so much for checking this out, and of course for all you do for animals!! Great work on this. Thank you for speaking up to this needless violence. David, thanks for checking this out! “There are many good photographs and photographers in the world, but the truly great photos and photographers are rare. The photographs that Unparalleled Suffering Photography has taken of chickens suffering in the Kaporos rituals in New York City are unsurpassed in their evocation of the experience the birds are having as they suffer. The images are sharp and vivid but what makes them inimitable is their expressiveness. 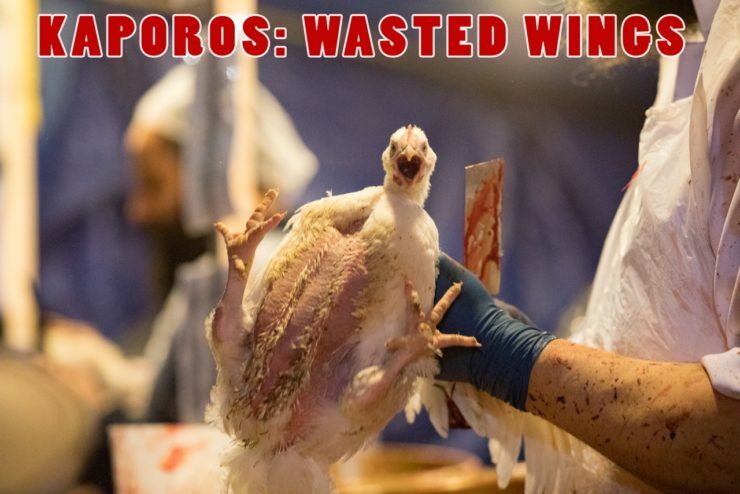 We have used many photos of Kaporos chickens over the past decade in our campaign to eliminate the ritual, but the Unparalleled Suffering Photography photos have an artistic poignancy that no other photographer has captured before so exquisitely. 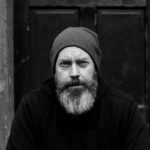 To this I add my gratitude for Michael Harren’s haunting musical accompaniment to the visual imagery of “Wasted Wings.” This music evokes the soul of suffering in the birds and in us who suffer with them and for them, and are seeking to free them. Thank you for being, in this most profound sense, their voices.